Dropsuite Limited (ASX: DSE), a leading cloud data backup platform has introduced an Insights module into its acclaimed software product, Email Backup and Archiving. 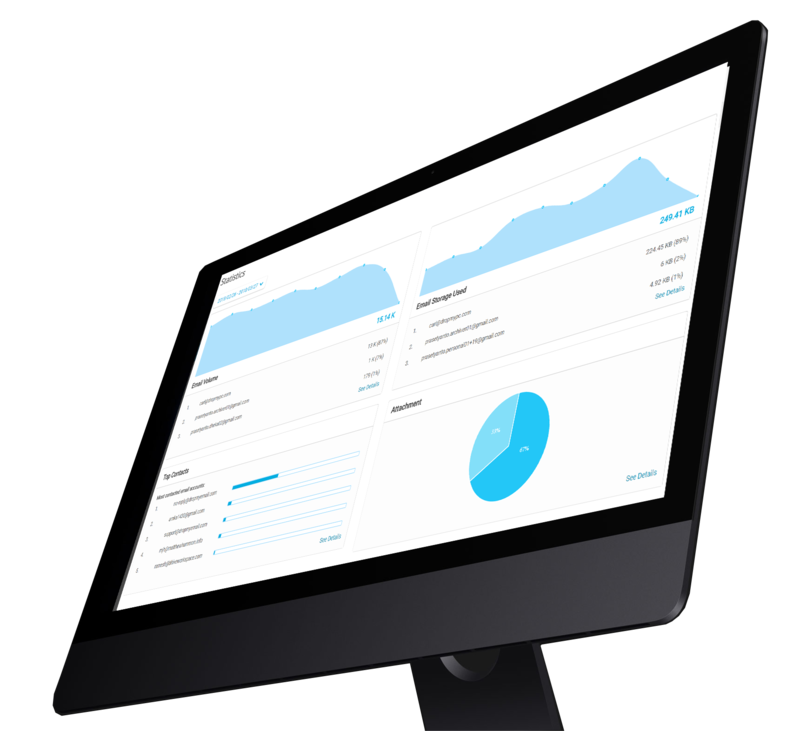 Insights by Dropsuite provides a robust email analytics toolset for organizations who seek to transform stagnant, archived email data into actionable business intelligence. Proprietary business information is often concealed in the tremendous volume of emails exchanged between co-workers, vendors and partners. Everything from sexual harassment threats to personally identifiable customer information to technical IP can lurk in corporate email exchanges. Dropsuite Insights reveals what’s going on within an organization's email systems by turning complex and extensive email data sets into simple, actionable reports, graphs and charts. By focusing exclusively on email communications, Insights can expose potential risks before they negatively impact the company, or surface positive activities/trends that can lead to operational efficiencies. Future releases of Insights will utilize machine learning to delve deeper into advanced threat detection and proactive alerting. For IT solution providers such as MSPs and Hosters, Insights can be immediately utilized as an operations and compliance management module to help monitor client email records so that data trends or anomalies are quickly uncovered. Insights will be available for all email platforms backed up by Dropsuite, with special emphasis on Microsoft Office 365 backup solution, whereby Outlook/Exchange, SharePoint, OneDrive, calendars, tasks, contacts and tasks are automatically backed up multiple times a day, and are searchable from a single pane of glass interface. From a data management and privacy perspective, business administrators of Insights have the power to turn the tool on or off, or to limit/restrict access to this tool. Dropsuite follows a security assurance program that uses global privacy and data protection best practices to ensure all data is safe. All customer data is safeguarded with 256-bit encryption at rest and in transit. For more information about Dropsuite, please visit https://dropsuite.com. Dropsuite (DSE:ASX) is a global cloud software platform enabling SMBs in over 100 countries to easily backup, recover and protect their important business information. Dropsuite’s network of preferred reseller partners has a combined customer reach of millions of small and medium-sized businesses worldwide. Dropsuite’s cloud-to-cloud products include email backup, email archiving and website backup. Dropsuite has partnered with some of the biggest names in the web hosting and IT service provider markets such as GoDaddy, Ingram Micro, D&H and Crazy Domains to safeguard businesses from the threat of unexpected data loss. Dropsuite was launched in 2012 and is headquartered in Singapore with a sales presence in the US, Europe, Japan, and Australia.